Some events are once-in-a-lifetime and just have to be observed. 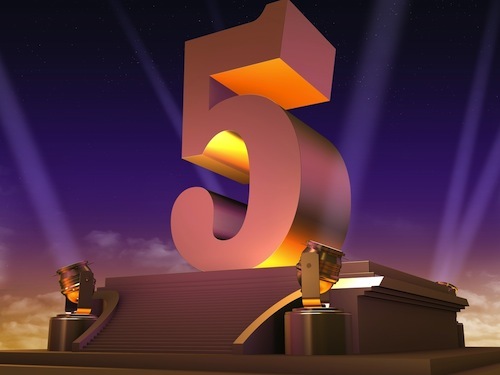 Here at Highlight HEALTH, we’re coming up on one of those events: our five year anniversary! To celebrate this milestone and to give something back to our readers, for the next three months we’re holding a prize pack giveaway. Highlight HEALTH launched back in late December 2006 and from the very beginning focused on the science of health, reporting on research, providing background and analysis, and explaining how research results affect you, the healthcare consumer. To compliment Highlight HEALTH, we launched the Highlight HEALTH Web Directory six months later. By the end of 2007, The Highlight HEALTH Network was born. We’ve been growing and improving ever since (if you’re interested in new ideas impacting health and medicine, check out the recently relaunched Highlight HEALTH 2.0). To celebrate five years of biomedical research reporting at Highlight HEALTH, from now through the end of February 2012, we will be giving away four prize packs every other Saturday, starting on January 14th. 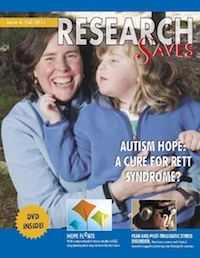 The Foundation for Biomedical Research’s quarterly biomedical magazine ResearchSaves showcases medical and scientific breakthroughs with foundations in animal research and strong human interest elements. All articles are submitted by universities, nonprofits and companies across the country. 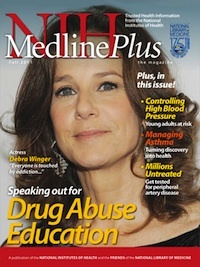 Each magazine also includes a full-length DVD, poster or educational program. NIH MedlinePlus brings the latest and most authoritative information from the National Institutes of Health (NIH) to patients and their families and to other health care consumers. The magazine presents you with the best in reliable, up-to-date health information and the latest breakthroughs from NIH-supported research. A paperback copy of Don’t Cross Your Eyes … They’ll Get Stuck That Way by Drs. Aaron Carroll and Rachel Vreeman of the Indiana University School of Medicine. The ultimate myth-busting collection of quirky and curious facts about your body and health. 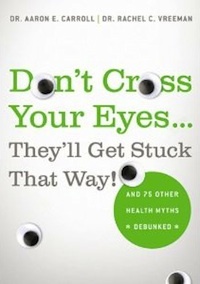 With a perfect balance of authoritative research, breezy humor, and snappy, easily-understandable takeaways, Don’t Cross Your Eyes … They’ll Get Stuck That Way is a must-have for physicians, parents, mythbusters, and anyone interested in quirky medical information. 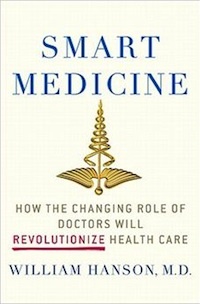 A hardcover copy of Smart Medicine: How the Changing Role of Doctors Will Revolutionize Health Care by Dr. William Hanson, Professor of Anesthesia and Critical Care and the Chief Medical Information Officer at the University of Pennsylvania School of Medicine. In Smart Medicine, William Hanson brings to life the fascinating true world of doctors and nurses, examines how the multifaceted medical system has evolved, where it’s going, and reveals the revolutionary changes that will soon be sweeping through the medical community. 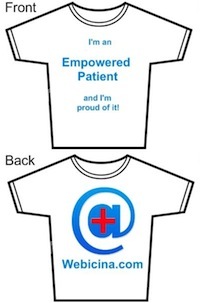 A Webicina T-shirt (e-patient style shown; a web-savvy physician style is also available). Webicina.com is the world’s first and only free service that provides curated medical social media resources across 80 medical topics in over 17 languages. Their mission is to let empowered patients and medical professionals access the most relevant social media content in their own languages on a customizable, easy-to-use platform for free. To enter the giveaway, simply subscribe to The Highlight HEALTH Network email updates using the form below. Our email updates are one of the easiest ways to stay on top of everything here at Highlight HEALTH. You’ll only get an email when there’s new content. If you’re already a subscriber, send us a note with your email address and we’ll include you in the drawings. Stay up-to-date with weekly email updates. Entries must be in by midnight EST on the Friday preceeding the prize drawing. Four drawings will be held every other Saturday: January 14, January 28, February 11, and February 25. Good luck! Bonus: Use the buttons below to “Like” on Facebook and/or tweet on Twitter — if you’re one of the prize pack winners, we’ll add a surprise gift!